BRIAN WILLIAMS IS A 4TH DEGREE BLACK BELT IN MARTIAL ARTS. HE FLIPS, HE KICKS, AND HE INSPIRES! Brian's martial arts instructor taught him since childhood that "Kindness was the ultimate form of self-defense" and they were not training to just become a black belt in the arts, but a Kindness Ninja. A true Kindness Ninja, as he was taught, is a person that carries out an act of Kindness without the desire of seeking recognition. Brian's passion in life is to inspire youth that every single person has the ability to make a difference in someones life. No matter how rich, poor, or dysfunctional your world may be. . . everyone has the ability to impact someones life in a positive way. He is a person of action. He thrives on not being a speaker that takes the stage and talks for an hour and leaves. Rather, he aims to create movements of Kindness within each school he visits; challenging each one to a massive 15 Days of Kindness challenge. School versus school, who can make the biggest difference in the world. . . in just 15 days. On average, schools have noticed a 32% decrease in bully related incidences after taking on Brian's 15 Days of Kindness challenge. He is the founder of Think Kindness, a non-profit organization that carries out measurable acts of Kindness throughout the world. He has mastered the skill of motivating people to action. In addition to traveling the country speaking to students, he also works with school councilors, principals and teachers, equipping them with ideas, resources, and tactics to inspire a Kinder culture within their school. If a picture is worth a thousand words. Than an act of Kindness is worth a thousand pictures. What inspired you to start martial arts? When I was a child, my older brother couldn't walk more than 3 steps without falling. His physical therapist recommended he start a year-round sport in addition to therapy. My parents put gymnastics, dance, and martial arts on the table. Karate Kid just came out on VHS and Ninja Turtles was hitting the box office. . . the decision was easy. I wanted to become a Ninja Turtle, so martial arts it was. 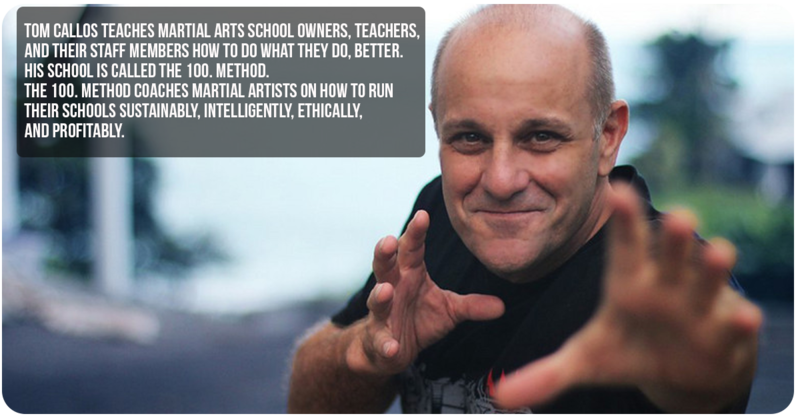 What made you decide to teach martial arts? As we moved up in rank, we were required to assist on the mat. Master Callos' philosophy was that you "learn more by teaching and perfect by doing". When I started teaching I fell in love with 'transformation'. Seeing a child transform mentally, physically and spiritually as a person and athlete. Who are some of your: Living heroes? Deceased heroes? Martial art heroes? and why? 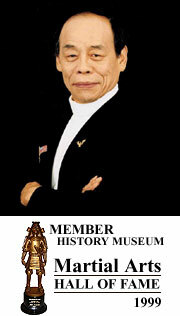 Some of my Living 'Well Known' Heroes include: Grand Master Jhoon Rhee, Nelson Mandela, and the Dalai Lama. Some individuals whom are not as wide-known include Josephine Kulea, featured as Women of the Year in 2014 for her work to end FGM (female genital mutilation) in Kenya, Daniel Lubetzky, founder of KIND Snacks, Josh Shipp, one of the top-youth speakers in the United States, Taylor Conroy, founder of Change Heroes, Grant Korgan, the most positive man on the planet and founder of ChoosePositivityNow.com. Deceased Heroes include Mother Theresa, Bruce Lee, Ghandi, and the big man, Jesus Christ. Growing up in Martial Arts we were always taught that "Kindness is the ultimate form of self-defense" and if you are nice to every single person that you meet, you should never have to use your martial arts. It takes more strength to be KIND to an unkind person than it does to break 100 bricks. We grew training to become black belt not just in martial arts, but in life. I have taken that training off the mat and into the world by starting a non-profit organization called Think Kindness, where we inspire measurable acts of Kindness in schools and communities around the world. It is here that I have taken the life-lessons of martial arts and brought them to over 300,000 children around the country. Rather than just 'talking', we've called them to action. To date, this has resulted in the documentation of over 1,000,000 acts of Kindness and the collection of 350,000 pairs of shoes for needy children and families around the world. For me, the execution of my martial arts training is not just in the kicking and punching, but in the teaching of the life-lessons. Going back to my roots, its my love of witnessing positive transformation. To know that 'One Life has breathed easier because I have lived". Emerson. 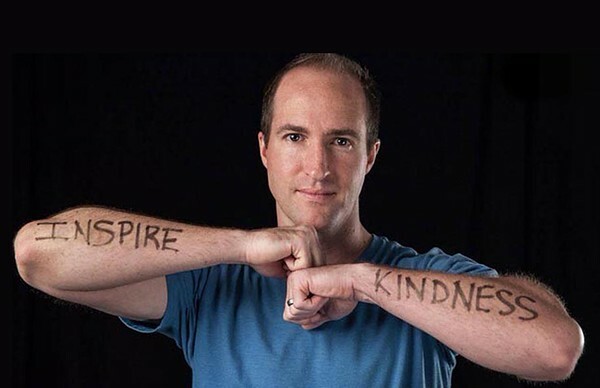 Think Kindness youth motivational speaker Brian Williams, challenges schools across the United States to '15 Days of Kindness'. Each school carries out unique acts of Kindness that impact their school and community in way that is purely infectious. My Teachers Ernie Reyes Jr.